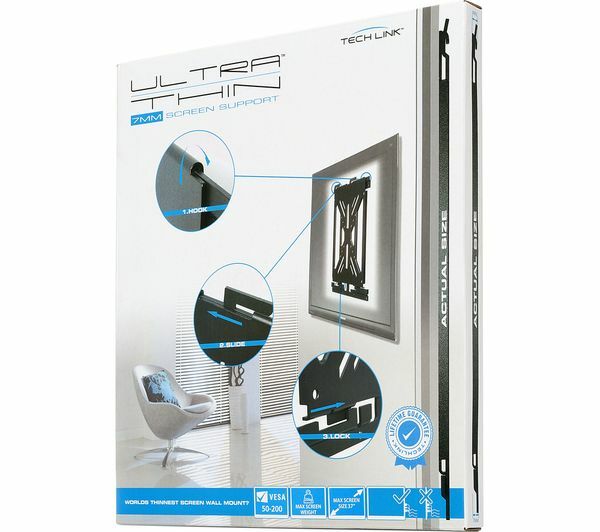 Mount your slimline TV close to the wall with the Techlink UTB1 Fixed TV Bracket. 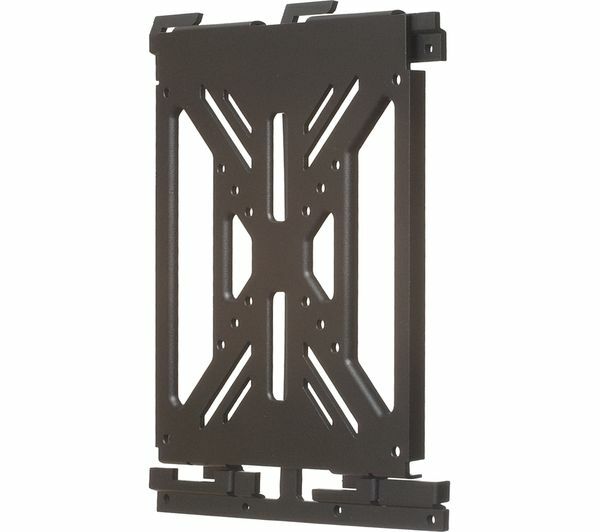 It's made for new-gen TVs without rear cable connections, and is the ideal for saving floor space while accenting your lounge. 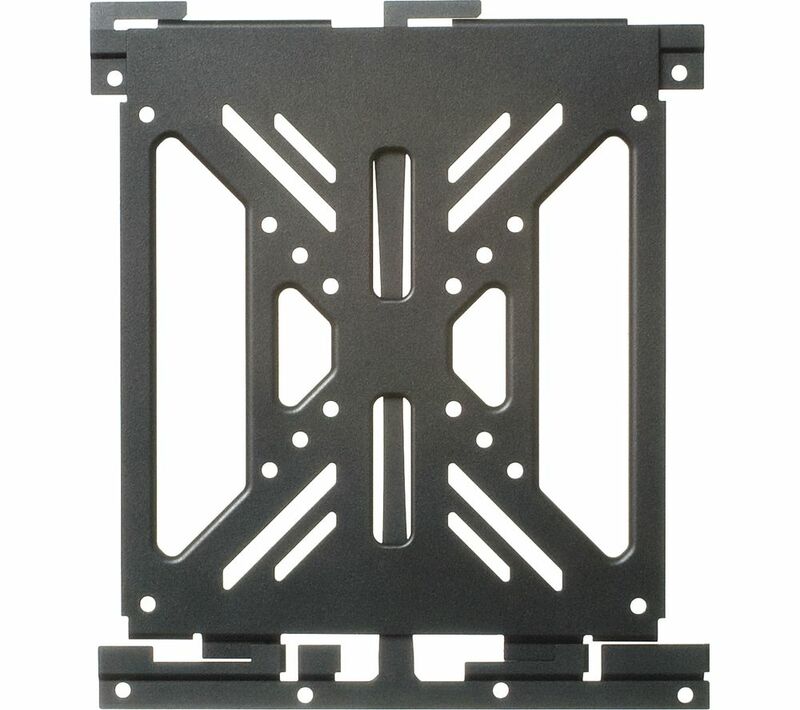 You can mount 15" to 37" TVs with VESA 50, 75, 100 and 200 mounts, weighing up to 20 kg. 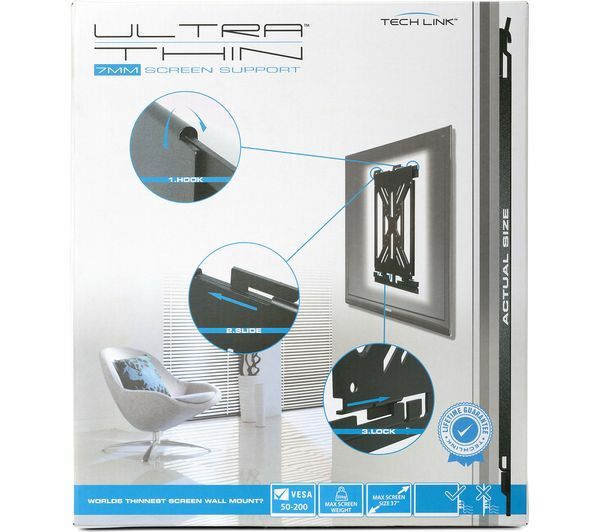 The mount comes with installation alignment kits to help you get it on the wall flush and level. The wall plugs supplied are rubbish, use your own!